The shocking GOP upset in Massachusetts has put Democrats on notice: Lackluster candidates are vulnerable, even in the bluest states. Steve Kornacki on Kirsten Gillibrand’s weaknesses. When a Democratic Senate candidate loses in Ted Kennedy’s backyard, it’s cause for alarm for every Democrat up for reelection—especially those who thought they were insulated by the Democratic bent of their home state. Case in point: Kirsten Gillibrand. To date, Gillibrand’s political career has been the definition of a charmed ascent, typified first by her campaign for the House in a can’t-miss year for Democrats (2006) against a Republican opponent who had to answer 11th-hour charges of spousal abuse, and then by her gubernatorial appointment to the U.S. Senate two years later. There is no blood in her veins, at least not in public. This would have been fine in a year like 2008, when the playing field was so slanted in the Democrats’ favor. But not in 2010. And the breaks kept coming after she joined the Senate, as one ambitious New York Democrat after another took a pass on challenging her in the 2010 primary—from Steve Israel to Jerry Nadler to the two Carolyns (McCarthy of Long Island and Maloney of the Upper East Side) and even Bill Thompson, all of them cowed by Gillibrand’s deep pockets and some old-fashioned strong-arming from Chuck Schumer and the Obama White House. Sure, there was the emergence of Harold Ford this month. The former congressman and Senate candidate from Tennessee, though little-known to New Yorkers, has become a useful vehicle for the considerable number of liberal bundlers and party regulars—to say nothing of the bored New York press corps—who have been disappointed by what Gillibrand has been able to offer so far, and who have expressed interest in backing Ford. Ford, a far more natural and nimble politician than Gillibrand, has delighted in portraying the incumbent as a hothouse flower who owes her survival to the intercession of party bosses. His Blue Dog track record, coziness with Wall Street, and tone-deaf boasts of a pampered Manhattan lifestyle all do serious violence to his plausibility. But Ford’s taken a leave of absence from his day job, and has begun blasting Gillibrand in a series of op-eds—a drumbeat of criticism that can only weaken her position, even if it doesn’t help elect Ford. Gillibrand’s assumption (and the assumption of Democrats in New York and Washington) has long been that if she could secure the Democratic nomination, she’d coast in the general election. That’s what Democrats do in blue states like New York. The one potential catch would have been if either of the state’s two big-name Republicans, Rudy Giuliani or George Pataki, got into the race. (Giuliani put an end to his latest empty threat to run for office last month and Pataki hasn’t lifted a finger—even as polls showed them both topping Gillibrand.) Against a no-name Republican, though, Gillibrand would be fine. But this was Coakley’s thinking, too. Massachusetts hadn’t voted to send a Republican to the Senate since 1972, and—particularly since the GOP revolution of 1994, which redefined the party as a bastion of southern religious conservatism—voters there had come to simply tune out Republican candidates. John Kerry and Ted Kennedy did little campaigning in their 2008 and 2006 campaigns—and they won by 35 and 38 points, respectively. But when Coakley’s imposing lead vanished in about two weeks’ time, notice was served: 2010 will be a very different year for Democrats in blue states. No longer can they point to the Bush or Gingrich bogeymen, they way they did these past 15 years—not when their party runs the show in D.C., and especially not when joblessness has breached 10 percent. Maybe Coakley would have pulled off a win had she run a better campaign, but it’s clear in hindsight that the Massachusetts race was always going to be competitive. Voters live in the present tense and their anxiety level is now off the charts; in ’10, this will be channeled against the ruling Democrats, even in blue states. This should make Gillibrand very nervous. If Brown, an unknown quantity to Massachusetts voters until days before the election, could engineer a win in the Bay State, then it means the GOP doesn’t need a Giuliani or Pataki to knock her off. They just need a Scott Brown. This is especially evident in light of Gillibrand’s chief deficiency as a candidate: dreadful communication skills. She talks, often for far too long, almost exclusively in political clichés. There is no blood in her veins, at least not in public. This would have been fine in a year like 2008, when the playing field was so slanted in the Democrats’ favor. But not in 2010. Coakley, as inept a communicator as Gillibrand, just proved this. When Massachusetts voters suddenly decided to pay attention to the race (and not simply rubber-stamp the Democrat), they were repelled by Coakley’s tired, lifeless, paint-by-numbers talking points—and excited by her opponent’s vigor. For now, the only Republican running for Gillibrand’s seat is Bruce Blakeman, a former Port Authority board member who ran in 1998, very unsuccessfully, for state comptroller. He's not exactly a force of nature, although he has quickly adapted his campaign over the past week to the Brown playbook by attempting to tie Gillibrand to the Obama administration's health plan, and claims to have seen a surge in his fundraising following the result in Massachusetts. But Brown’s example could easily lead other Republicans to jump in—Republicans who are as unknown now as Brown was just a month ago. (Or, as The Atlantic's Marc Ambinder suggested in a mischievous tweet on January 25, Pataki might even rethink his inaction if Ford's challenge proves to be serious.) Gillibrand’s poll numbers have been anemic for a year. The possibility that she could suffer Coakley’s fate now seems real, which in turn threatens her position within her own party. Her potential November vulnerability, newly apparent, could embolden one or more of the Democrats who stepped aside under duress last year to re-think that decision. They could point to Coakley’s example and argue that, given the atmosphere of 2010, it’s now vital for New York Democrats to nominate someone less likely to bungle a general election. Potential challengers could be further emboldened by Ford, if he sticks around. The intense press coverage he’s received is testament to the media’s hunger for a campaign, so new challengers will win serious attention, for a start. And while Ford himself may ultimately be too flawed to succeed, the prospect of a crowded field is good news for challengers; with every new candidate, the magic number for victory drops. It’s still conceivable that other Democrats will stay out and that Gillibrand will coast to the Democratic nomination. But victory in the general election isn’t the sure bet that it once was. And because of that, neither is the Democratic nomination. 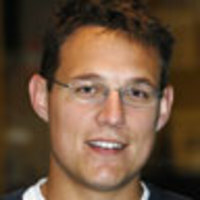 Steve Kornacki has written about politics for the New York Observer and Roll Call. His work has also appeared in The New York Times, The Wall Street Journal, National Journal and Salon.